PROPOSALS | Dab Art will review proposals for 2018 Summer and Fall group exhibitions at H Gallery. Artists chosen for these group exhibitions will be further evaluated and considered for roster selections. Early applications are encouraged as exhibition considerations will made prior to the deadlines. 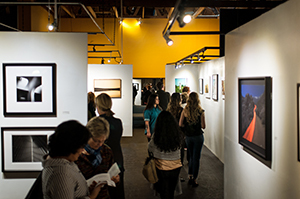 VENUES | Nestled between Malibu and Ojai just north of Los Angeles, H Gallery is one of the prevailing art spaces in the greater Los Angeles area, The exhibition spaces include a 2000sq ft gallery that and a 2700 cubic feet hanging installtion area. Dab Art is the exclusive curator for H Gallery. In addition to H Gallery, Visit www.dabart.me for complete gallery details. In addition to H Gallery, Dab Art has 2 satalittle galleries, curates pop up exhibits and public art features. EXHIBITIONS | Exact exhibition lengths will vary from 6 to 10 weeks. Featured artists are invited & encouraged to personally attend receptions. A selected few will be invited for a recorded artists interview and/or panel discussion about their exhibit. SPECIFICATIONS | All work must be original, unsold work, & the artist must own the sole copyright to art. Frames, mats & wiring must be professional quality & in good condition. No saw- tooth hangers. Wiring must be securely fashioned & support weight of the artwork. All accepted work must remain for the duration of the exhibit. 2D Artwork selected for exhibition MUST BE READY TO HANG. Unframed or improperly mounted work will not be accepted. The number of pieces varies depending on the artist’s medium, sizes and shapes of selected work and available wall space. Every artist will be able to exhibit a sizable body of work so that they are well represented in the exhibition. The number of pieces can vary considerably. SHIPPING (READ CAREFULLY) | Absolutely no packing peanuts. Crates, boxes, even small packages containing packing peanuts will be resealed & immediately shipped back to you, no exceptions. Artists are responsible for round-trip shipping & insurance (during shipping) of artworks. All shipments must include a prepaid UPS OR FED EX return label & be shipped in a container suitable to re-use for return shipping. Work sent through the US Postal Service, must include a shipping label, USPS stamps will not be accepted. COMMISSION | Dab Art retains a 40% commission on all exhibition & website sales. SALES | All sales payouts by Dab Art are given after the close of exhibition. Payment to Artist will be provided within 60 days after the exhibit concludes and receipt of full payment from Buyer to Dab Art. NOTIFICATION | Applications are reviewed and the end of each month and notifications are sent via email. Artists selected for an exhibition will be given sufficient time to prepare their work & make shipping or delivery arrangements prior to their exhibit date. There is no maximum or minimum number of artists for our roster and artist selection is ongoing. Early applications are encouraged as exhibition considerations are made monthly. OPTIONAL CONSULTATION | If you would like to discuss your entries in detail, you may consider a phone consultation. There is an option at checkout for a 15-minute consultation by phone. We can discuss your entries and any questions you may have about your submission. Consultations are completed after you have received notification on your application status.